These represent two considerable hurdles for the modern Westerner interested in ancient Chinese philosophy. 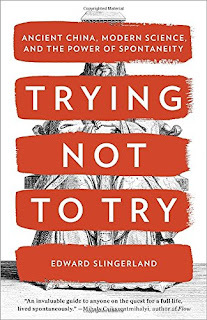 However, Edward Slingerland overcomes both of these hurdles seemingly with ease in his book Trying Not to Try. With an extraordinary understanding of ancient China and its great thinkers, Slingerland excels at "modernizing" their teachings — explaining the original context and meaning in ways that instantly click. 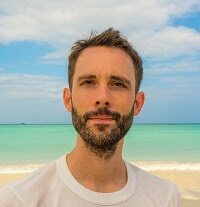 He then goes one step further, backing up these ancient teachings using examples from modern science, focusing on fascinating topics such as charisma (bombing an interview versus nailing it), high-level performance (being "in the zone" versus choking), happiness (why trying to be happy usually fails), and many others. Slingerland's fluid and engaging writing style held my attention all the way through, and even though I'm not particularly interested in philosophy or ancient China, I thoroughly enjoyed this book.